The capital city of the Andamans has plenty of adventure to offer, from scuba diving and snorkelling, to sea walks, kayaking, glass bottom boats, parasailing, and more. Even if you have limited time, there’s time for one of these Port Blair adventures. Port Blair is the most easily accessible destination in the Andaman Islands because all flights land here. It is the capital of the Andamans, and for travellers and adventure-seekers, there is plenty to do here. Scuba diving in Port Blair is one of the most popular activities, but you also have many other choices. When in Port Blair, make sure you make time to visit Cellular Jail in time to catch the sound and light show. The Anthropological Museum is interesting because it has many artefacts from the indigenous tribes of the Andaman Islands. If you’re looking for offbeat places to visit from Port Blair, consider the limestone caves and mud volcanoes of Baratang Island. You can cover this in a day trip. Other options are Ross Island and Smith Island, twin islands that are connected by a sandbar that you can only see during low tide. You could also consider visiting Jolly Buoy Island, Diglipur, or Viper Island. Try to do your scuba diving in Port Blair from December to mid-June. In these months, the sea is calm and the visibility is good. 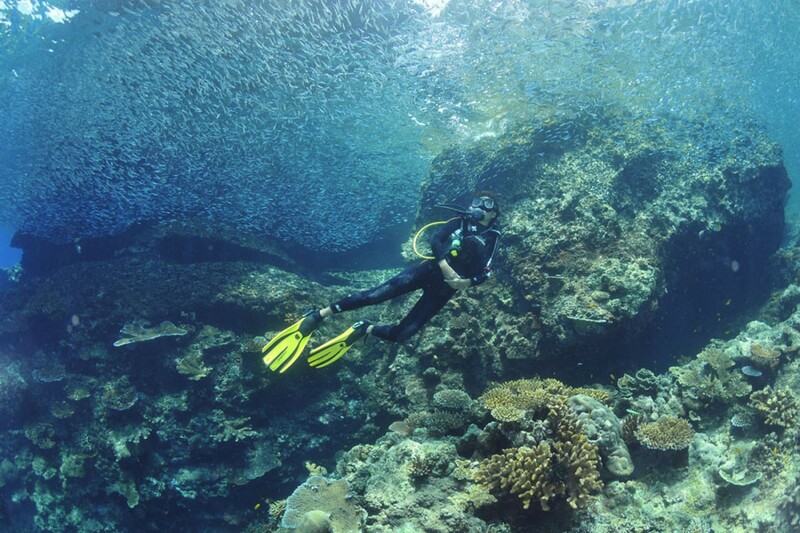 In the monsoon months of July to September, there isn’t much diving unless you’re a very experienced diver. For your scuba dive in Port Blair, you need comfortable swimwear, sunscreen, a long-sleeved top, and a cap and sunglasses. The operator will provide all the equipment you need. Read our blog Scuba 101 to understand what equipment you’ll be given. One of the best scuba destinations in Port Blair is Chidiya Tapu. This charming island, located off the mainland of Port Blair, is one of the secrets of the Andamans. It is an untouched natural paradise, with mangroves, diverse bird species, and a quiet beach. There are very few dive operators here, but you can do a course here if you don’t have the time to go to Havelock. If you’re a first-time scuba diver in the Andamans, you can do your Try Dive in North Bay. This is where you can experience scuba diving without even needing to know swimming. North Bay is a popular destination about 30 minutes by boat from Port Blair. The Try Dive here is a short, fun experience meant to give you just a taste of scuba. For those who are unsure of scuba diving in Port Blair, the Sea Walk is a great option. You don’t need to know how to swim. All you have to do is put on the gear, and you can descend on a ladder to the floor of the ocean. You’ll be accompanied by an instructor and can explore the underwater world for a while, without even getting your hair wet. 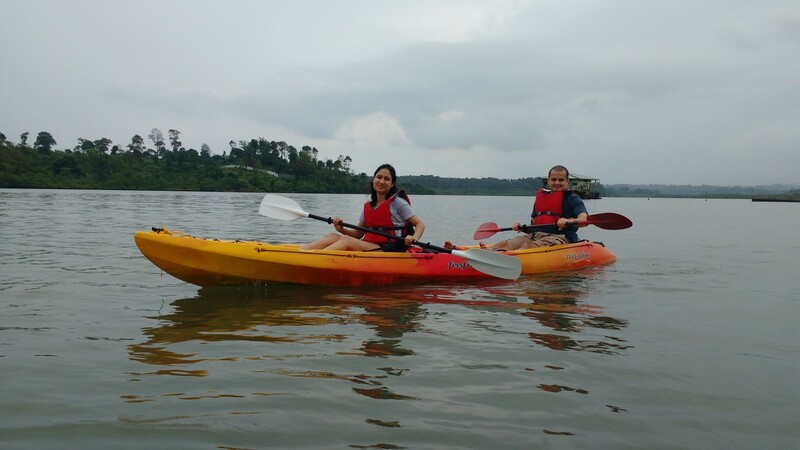 Enjoy a morning out on the blue seas of Port Blair with this easy kayaking session. You’ll learn the basics of kayaking in a short briefing session, and will spend the rest of your time paddling through the waves. It’s a fun adventure for those who like the water and want to try something offbeat in the Andamans. If you’re anxious about the water but still want to see the underwater world, these boat rides are perfect for you. This is also suitable for families with very young children or older travellers who can’t swim. 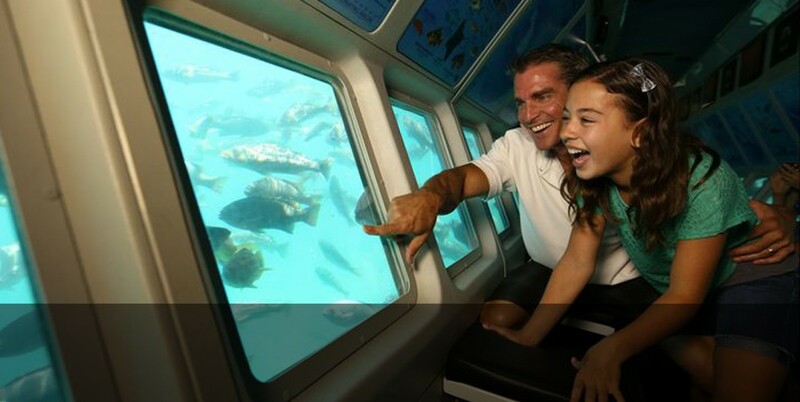 You’ll ride out in the boat to the colourful coral reefs, and you’ll be able to see the fish going by through the glass windows. 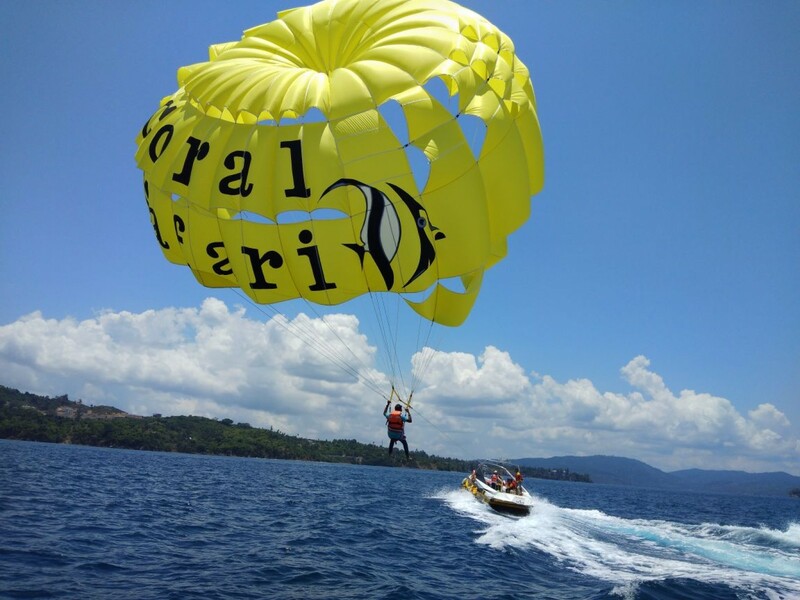 This adventure in Port Blair is great for those who love the thrill of flight. You’ll set off in a boat from Corbyn's Cove beach, and will be helped into your harness. As the boat cuts through the water, you’ll soar into the sky for a parasailing flight. You’ll get spectacular views of the Andaman Islands around you and the blue sea below. You don’t need to know how to swim for a Try Dive, but if you want to do a PADI or SSI course, it is a requirement. You’ll need to pass a swimming test of 200 metres, and 10 minutes floating. No, scuba diving beginners don’t have to worry about any gear. Your operator will provide everything you need for your trip. What do I wear under the scuba suit? Your operator will provide you with a scuba suit, but you’ll need to wear a swimsuit/bikini/swimming trunks under the wetsuit. Do make sure the swimwear you choose is comfortable. If you have long hair, tie it back firmly with an elastic band so it isn’t floating into your mask or obscuring your vision. Where do I put the scuba suit on? Usually you’ll put your wetsuit on at the dive centre, before you set off to the boat. Sometimes you’ll put it on in the boat before the dive. What is the right age to go scuba diving? Anyone over 10 years may take lessons in scuba diving. Check with the operator if you are travelling with children, because age restrictions might differ. There is no real cap or age limit for older divers, but you will need to be in good physical and mental condition to dive. Read our blog about Scuba FAQs to get more detailed answers.